Aging Mainers across the oldest and most rural state in the nation are a stoic and fiercely independent lot. But like the millions of their counterparts in other rural states, they may be losing the battle when it comes to protecting themselves against the devastating consequences of living a socially isolated and lonely life. Social isolation is a killer and more older Americans are living isolated lives than ever before. The prevalence may be as high as 43 percent among community-dwelling older adults. Perhaps that is why the National Association of Social Workers, the World Health Organization, AARP, and the National Institutes of Health have recognized the need to place social isolation on the list of major challenges and high priority threats to societal well-being. It is a perplexing, potentially lethal problem impeding a successful and productive old age. Social isolation places individuals at higher risk of a variety of poor outcomes including disability, dementia, hospitalizations, falls, not surviving natural disasters, poor health practices, psychological distress, neglect and exploitation, and even the common cold. Who is at greatest risk? Older adults who are homebound with physical and functional impairments, who live alone, are 80 years of age and older, living on limited income, lacking instrumental supports (access to transportation, the internet, telephone, etc. ), with poor mental health, weak social networks, and facing critical life transitions (i.e., divorce, death of a spouse, an abrupt retirement, a health crisis, children moving out). The importance of having a social network available cannot be overstated in guarding against social isolation. Family, friends, neighbors, and professional caregivers provide social support, social influence, create a buffer against stress, increase your access to resources, and can even stimulate your immune system. Strategies for preventing social isolation and loneliness frequently present themselves locally and need not be costly. Many of them simply mobilize local citizens and existing organizations. The University of Maine, in conjunction with Eastern Area Agency on Aging, is supporting a student-led program, Project Generations, that brings college students into the homes of local older adults for friendly visiting and lending a helping hand. Programs like this offer students the opportunity to interact with and learn from older adults while providing elders with a much-needed source of support. In Augusta, postal service workers are trained to ask questions of homebound older adults to check in on them and ensure their well-being. 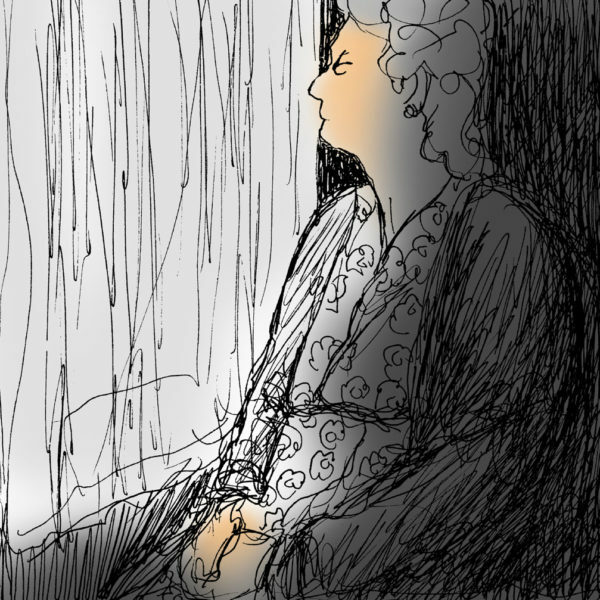 Doctors, too, are able to screen for social isolation during routine doctor’s appointments. Many communities have begun to organize programs where volunteers and law enforcement officers provide regular calls or wellness checks to older adults who are known to be frail, homebound, and isolated. These solutions provide an extra set of eyes and ears in the community to identify those most at risk. Several federal programs are providing lifelines to older adults who are homebound including the Meals on Wheels Program, a network that reaches over 800,000 homebound older adults across the nation, providing not only home-delivered meals but also socialization. The Senior Companion Program, (part of national network of Senior Corps programs) pairs older adult volunteers with homebound older adults in their communities for ongoing socialization and support. Creative housing solutions like co-housing where older adults live with younger adults can also help to combat social isolation and help to create a common sense of purpose for both generations. AARP’s Age Friendly community movement aims to create caring communities with physical and social infrastructure supporting aging-in-place and reduce the likelihood of social isolation. Lessons learned from the Maine Health Access Foundation’s “Thriving in Place” initiative, which aims to support individuals with chronic conditions and disabilities remain in their homes as they age, include the importance of developing systems of care whereby people who may have contact with isolated older adults, such as EMTs, Meals on Wheels drivers, and other individuals are knowledgeable enough about community resources and referral processes that they can act as gatekeepers to supportive services which can reduce isolation and meet other needs. And, of course we can prevent many older adults from living isolated lives altogether by encouraging them to remain active and involved in their communities through churches, civic groups, and serving as volunteers with programs like Retired and Senior Volunteer Program or attending Senior College classes. Older adults residing in small towns and rural communities may be especially vulnerable to the dangers of isolated living, but these individuals and their communities, with modest levels of support, can be mobilized to take action against this threat to well-being in later life. Lenard W. Kaye is a professor at the University of Maine School of Social Work and director of the University of Maine Center on Aging. He is a member of the Maine chapter of the national Scholars Strategy Network, which brings together scholars across the country to address public challenges and their policy implications. Members’ columns appear in the BDN every other week.